Route 66 – An American Dream is a documentary created by three German travelers who wish to experience and see America. They travel different States, sleep in their near death Cadillac, travel the infamous Route 66 and discover America. Route 66 is a story that cuts across boundaries, literally. Feeling the need to discover the true mystique of America, three German friends rent a Cadillac, drive across the country to California via Route 66 and eat nothing but McDonalds. The group encounters many different characters including a homeless woman who seems to have a solid grasp on the world of politics and the UN Resolution. Although there are interesting situations in the film, a good majority of it is quite mundane. Characters they encounter seem genuinely fascinating, but there is simply a lack of interesting events in the documentary to help make it stand out (unless you count car trouble as exciting). To the film’s credit, there are occasional witty insights about the US, but these are few and sparse. Moreover, for a $40.00 budget, the film did contain nice images and shots of both rural and urban America. Whether it was an intentional attempt to divert from the usual premise of “tourists traveling to America” or not, it is still ironic that they weren’t able to find it. The bottom line though is that Route 66 leaves much to be desired despite the sincerity it contains. A viewer comment in IMDB dubs the movie as nothing but an “extravagant vacation video.” Sadly, despite the good shots and sequences, as well as the honest depiction of the people involved, the comment does ring true overall. As a viewer, you constantly hope and think that something exciting happens to them in the film, however, nothing does happen. They simply drive, meet nice and interesting folks, fix their car (almost all the time), get hit on by girls (once in the film) and then return the car. End of story. 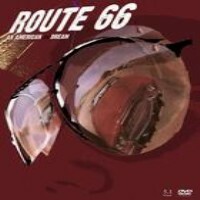 Route 66 was released in June 14, 2004 and featured German narration, however, since the film was shot in the US and featured people speaking in English; the film makers decided to do the narration in English as well. It was considered to be Germany’s first Open Source Film and has been downloaded over a million times in various sites online.